I've been building the support structure for the town of Emsingen over the last week. Since the town will sit on top of the ramps between the layout levels, I'm planning to make it at least partially removable. 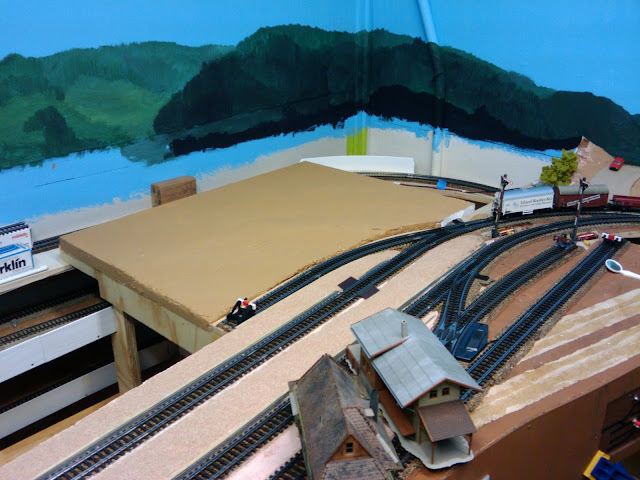 The brown area will house the Emsingen freight shed near the track. Depending on how space constraints work out, it will also support the lower parts of Emsingen, with the upper part of town (including the market square) sitting over the ramps in the corner. I simply used a 3/4" sheet of styrofoam (aka "Styropor") as the base, and cut it to the right shape. Messy as usual. I also reduced thickness a little bit around the freight shed area, so that the floors of cars on the track are at the same height as the loading dock. 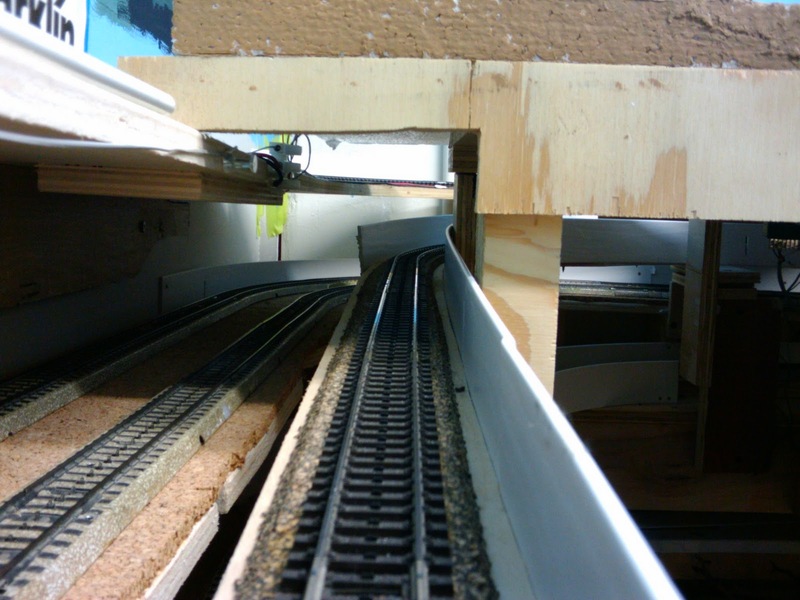 That said, the shed needs to connect to a small loading ramp that extends along the side of the track. The current arrangement is too diminutive. Maybe also scratch build an extension for the shed? The support framework will get in the way when cleaning track. I hope that by making the town removable, I can work on the town at the work bench in a somewhat comfortable seating position. Oooops. 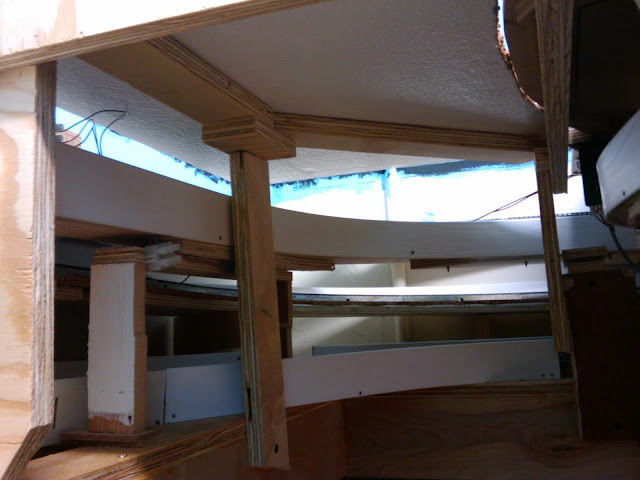 Vertical clearance for the Prechtal staging track (center of photo) is 5 mm too low. That needs to get fixed.